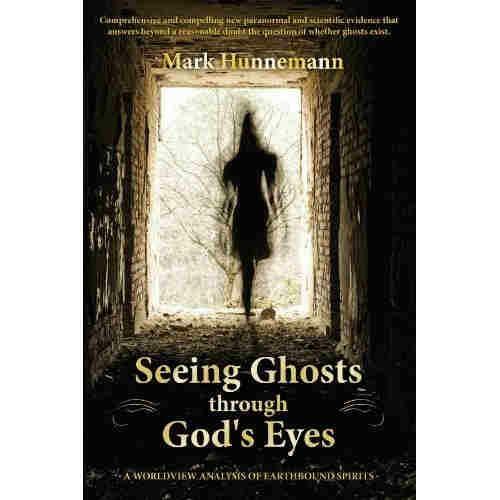 ← ♫ Laura’s radio guest – Part 2 – Mark Hunnemann on Ghosts. ♫ Laura’s radio guest – Part 3 – Mark Hunnemann on Poltergeists. Posted on July 25, 2015	by Laura Maxwell, BA (Hons). Part 3 – POLTERGEISTS! Mark Hunnemann returns to my radio show! His superb book Seeing Ghosts Through God’s Eyes, is a biblical worldview analysis of deceiving notions such as forms of spiritual healing, reincarnation, past life regression, karma, purgatory, residual energies, earthbound spirits, ghosts, spirit guides, light beings, archangels and other spirit entities who contact people, either directly or telepathically. See below for our last episode. Ghosts – Part Two. – Including topics such as experiential and scientific proof for the above deceptions, including insight into the 2nd and 3rd Law of ThermoDynamics! To hear our first episode go to this audio blog post. Mark’s interview was SO very good we had to edit it into four 60 minute parts to be played over the coming weeks! This is the first time this has happened with one of my guests. So please don’t miss this totally outstanding interview. And please invite your friends, they won’t be disappointed! “I have studied every relevant text (Hebrew and Greek) re : trapped spirits, and there is no way to confirm ghosts from the bible. In fact, it is hostile to the bible. This is one of the most important issues of our day.” Mark Hunnemann. Mark encountered a ‘shadow figure’ when younger. He became a minister and has helped many who experienced demonic attack, after engaging in the paranormal. He has spoken in churches, on radio and YouTube channels. He sent me his excellent book Seeing Ghosts Through Gods Eyes. In my opinion it’s literally the BEST book written on this subject for decades! (See my blog, for recommended reading). My friend Mark will be our guest, on ‘The Supernatural with Laura Maxwell’, online Friday 24th. It’s to be repeated twice on Saturday and the following Friday & Saturday too! Details below. I highly recommend hearing this show! He has great knowledge of these topics. Even if you haven’t heard any of my shows yet, please listen to this one! You surely won’t regret it! Maybe your friends are involved in such activities and you want to gently warn them? Or you want to be better prepared, to avoid being deceived by these popular practises yourself ? From Mark and myself, you’ll learn the truth of various mystical practises, forms of spiritual ‘healing’, karma, past life regression, reincarnation, light beings, spirit guides, aliens, etc. Also, New Age, Spiritualism, and so on. So, please tune in! My interview with Mark aired last night, 24th July, from 9–10pm, UTC, London Time. It was repeated today, at 11am. Hear it tonight at 7–8pm. It will also be repeated the following Friday and Saturday, at the above times too! USA listeners, can hear it from 4-5PM EST on Fridays and 2-3PM EST on Saturdays. Please share online to invite your friends! In this book the author first explains what a biblical worldview is and how important it is to think with a biblical worldview. Our worldviews are the spectacles through which we view all of life and reality. God wants His children to see His world through His eyes. 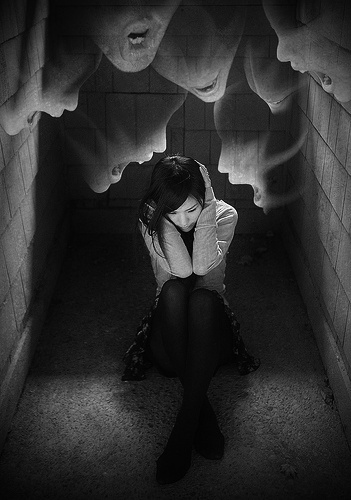 Mark then applies this worldview to the controversial topic of trapped spirits. He presents comprehensive and compelling new paranormal, biblical, and scientific evidence which shows that earthbound spirits are really diabolical spirits. It is the author’s contention that the popular idea of spirit guides, light beings, arch angels and ghosts are Satan’s most effective and successful scheme in the world today, and is plunging our culture into demonic darkness. Through Christ, all alleged ‘spirit ,visitations’ are shown to actually be demonic deceptions (the only exception being true angelic activity). Humans NEVER return to earth once they enter their eternal rest, or judgment, which occurs immediately after death. The author has helped dozens of people who thought their homes were ‘haunted’ but were in fact demon infested. His book is available on Amazon (Kindle and paper-back), and he writes a weekly BLOG which you may sign up for, in which specific paranormal issues are addressed from a biblical perspective. For full details of my radio show, guest list, archives, etc, please see link. Please pray for the programs on ‘The Supernatural with Laura Maxwell’, if you feel led. Please pray, that those the Lord wants to reach, through this show, will tune in to hear it on Friday or Saturday. Many thanks. All glory to God. God bless you! To listen to future episodes, visit http://tunein.com/radio/Eternal-Radio-s155805/ at the above times. Or find them on Laura’s YouTube channel. You DON’T need to download the radio app, to listen to it, even though it asks you to. You can still hear it, without downloading it! Or you can hear Eternal Radio through your Smart TV via ‘Tune In’. Please join me, in praising God, for my program. Also for the freedom we still have to share the Gospel and Christian testimonies through the internet and media. We can not take such opportunities for granted, especially in these last days. Many thanks and God bless you all! Laura Maxwell, ministry founder of A Spiritual Quest. Silence is consent! Please don’t stay silent. Testify of Christ’s goodness and help others! This entry was posted in Aliens, Alternative Healing, Angels, Apologetics, Apostasy, Bible Prophecy, Catholic Catechism, Challenge & Test The Spirits!, Dead People, Eternal Radio, Poltergeists, Residual Energies and tagged Alice Bailey, Alien healing, Aliens, Angels, AntiChrist, apostasy, Archangels, Ascended Masters, Astral Projection, Catholicism, Deliverance, Demons, Energies, Enlightenment, Exorcism, Fallen Angels, haunted houses, Higher Self, Higher Vibrations, Karmic Healing, Light Beings, Past Life Regression, Poltergeists, Purgatory, Reincarnation, Residual Energies, Spirit Guides, Spirits, Spiritual Healing, Thermodynamics. Bookmark the permalink. 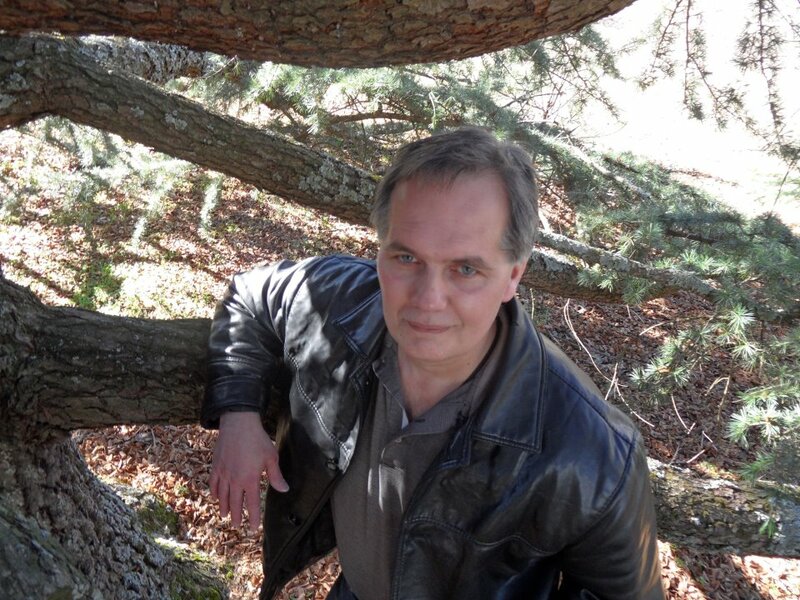 1 Response to ♫ Laura’s radio guest – Part 3 – Mark Hunnemann on Poltergeists.